It enjoys a central position in the village, and is linked to the main Pardatschgrat gondola by a convenient covered escalator. The Madlein is a ‘state-of-the-art’ design hotel in the village centre, and has won many awards for its contemporary atmosphere and décor. With a special emphasis on good food and wines, a stylish lounge and modern spa area, its has its own nightclub and is popular with guests who have a passion for good music. ‘comfort’ rooms (20m2) are more traditionally furnished with wood-panelling. All rooms have bath or shower, balcony, cable TV, radio, telephone, minibar and hairdryer. We update Hotel Madlein's details often, but facilities do change. e.g. some extras listed by the supplier as "free" or included might only be for the first time you use them, or for one time per party, then charged for further use. If any specific feature is essential to your holiday, make sure you ask us to confirm the details of it before you book your holiday. This package holiday to Hotel Madlein in Ischgl, Austria departs Saturday 14th December 2019, for a 7 night stay on a "half board" board basis. A local tourist tax (Taxe de Sejour or Kurtaxe) is levied by many councils in European ski resorts. It varies by standard and type of accommodation and is age dependent, so not everyone is charged. It's not included in the basic price of your holiday and is usually paid locally. For reference, the average charged in winter 15/16 was between 50p and £2 per person, per night. A place to ski high and party hard: As well as having some of the nation’s finest snow conditions, Ischgl’s neck and neck with St Anton for the title of Austria’s best après, which is cranked up at each end of the season with the legendary Top of the Mountain festivals. Ischgl lift pass price last reported as 219.00€ 6 days. Ask for a quote when booking Hotel Madlein. Ischgl has NSEW facing slopes. Usually open for skiing November-May. 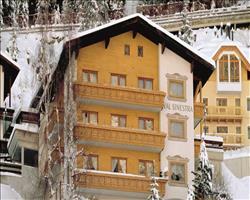 Hotel Val Sinestra Ischgl Austria, Dover Ferry 14th December. Hotel Binta Ischgl Austria, Dover Ferry 14th December. 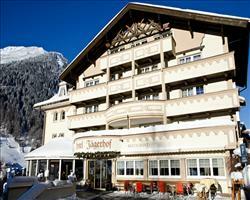 Hotel Jagerhof Ischgl Austria, Dover Ferry 14th December. 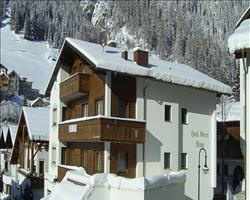 Hotel Solaria Ischgl Austria, Dover Ferry 14th December. 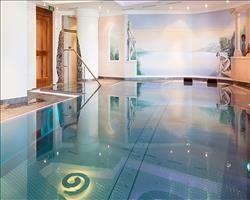 Hotel Brigitte Ischgl Austria, Dover Ferry 14th December.